The Biscayne Government Primary School was burglarized between March 17 and 18, and according to reports made to police, a number of electronic devices were stolen, some of which have not been recovered. Police investigations, however, have led to the arrest of an 18-year-old village resident, who was charged with burglary and handling stolen goods. Joshua Smith appeared before Chief Magistrate Ann Marie Smith, who arraigned him on the two criminal charges. But when Smith asked the court prosecutor, Inspector Hector Rodriguez, if there was any objection to his being granted bail, the prosecutor said he was objecting to bail on the grounds that the police are still conducting an investigation into the burglary, and that some of the items have still not been recovered. Rodriguez told the court that if granted bail, the accused man might interfere with the police’s investigation. The Chief Magistrate upheld Rodriguez’s submission and denied bail to Smith, remanding him into custody until his next court appearance on April 11. 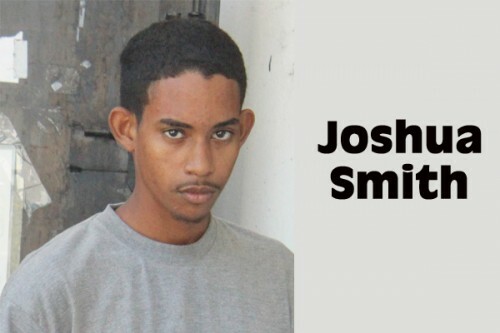 The police are alleging that between March 17 and 18, 2014, Joshua Smith entered the Biscayne Government Primary School and stole the following items: four laptops – 3 of a Dell brand valued at $1,000 each, and another laptop valuing $1,400.00, along with a Sony projector valued at $500, and a Panasonic stereo set valuing $340.00, all totaling $5,240.00 in value. Smith was additionally charged with one count of handling stolen goods, after he was allegedly found in possession of a number of the stolen items. Smith appeared in court unrepresented by an attorney. If he is convicted of the two charges, he could be facing a prison sentence of up to seven years for the burglary and five years for handling stolen goods.